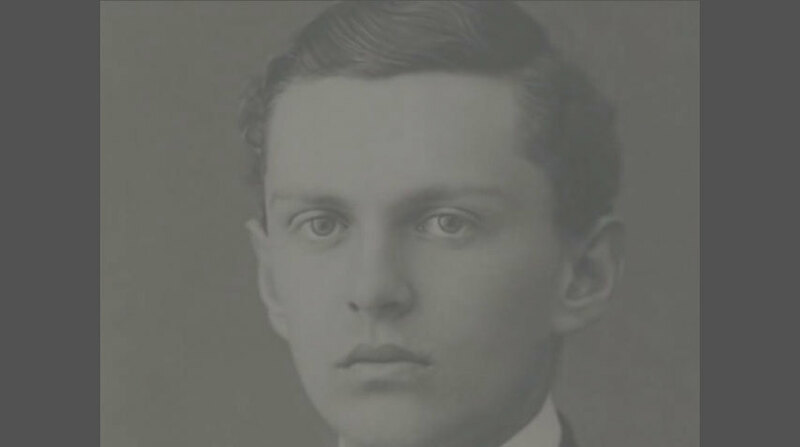 He was born on December 16, 1896 in Banja Luka from a liberal family when Bosnia was occupied by Austria-Hungary; he had his secondary education in the multiethnic and multi-religious environment of his native town; he finished his studies at the same time when in Sarajevo the crown prince Francesco Ferdinando was murdered ( June 28, 1914). He won his doctorate at the Faculty of Philosophy on the University of Zagreb 1923 by the thesis “The influence of liturgy on the French writers.” Having passed the state exam, he was qualified for teaching French and German language and literature. So he became professor at the archiepiscopal gymnasium in Zagreb till his death ( May 10, 1928). An ordinary life, at first sight, apart for the period spent at the front, and yet already present in the history of Croatian Catholicism. Still little known outside his native country, the character of Ivan Merz, whose canonization cause is proceeding on after the beatification, fascinates those who approach it. A catholic student and soldier, then an intellectual layman with a wide culture who, because of his love for God, employed all his own energies serving other people and educating the Croatian youth. The character emerging from this diary is not that of a “born saint” man, but rather that of a young man fighting for the Good and winning his battle and therefore, with his example, swaying all those striving to accomplish the Christian ideal of perfection. He was afflicted with the question of love and then with that of pain and death that he overcame in the light of faith. In his diary, in the period of the War, it is possible to feel the deepness of his soul where material and spiritual poverty of the life in the army are mirrored and mingled together with the light of Grace. “There is no Holy Eucharist – he wrote in September 19, 1917 – I am living as a pagan or as a beast, as if the Agnus was no more in the centre of the universe, as if He did not exist at all”. “Oh God the Comforter, come and pervade me and my nature with atoms of eternity, so that, more similar to you, I can understand the developing of existence. The present state is busy with rum while the Holy Eucharist is of a minor importance. Where are the military chaplains? Why are they deserting their flock now when they need God the most? “. “Oh God, the best would be if I was already with You, so, please, burn all the parasites of sin that crept into my soul with the flame of your Mercy, so that I can appear before You good and holy; or at least, to be inspired, while leaving, with a holy joy and an extraordinary will” ( July 13, 1918). Even at the front Ivan was fasting: “ ‘Memento mori – bacon is waiting there to set me a trap! Those who think that fasting is just a little something, do not really know what they are talking about. There is no spiritual life without fasting… Oh God, provide me with a strong will, even if I were barefoot and naked!”(August 23, 1918 ). The athlete of the Spirit came out of the moral ruins of the war being stronger and fortified. “Never to forget God! Always wishing to join Him. Devoting every day, better dawn, some time to meditation, to prayer, if possible being close to the Eucharist or during the Holy Mass. At that hour all the projects for the day that starts have to be planned, all the faults have to be examined and the Grace to overcome weaknesses has to be asked. It would be terrible if this war could turn in no benefit for me! … I must start leading a new life, regenerate from the spirit of a new knowledge of Catholicism. May God help me, because there is nothing a man can do single-handed. ( February 5, 1918 ). Merz is coming out of the war as a mature man and Christian and as such, he took up again his studies in Vienna and continued them in France, devoting himself more and more to the Croatian Catholic Movement. Once back in Zagreb, he gave a new direction to the youth’s movement of the “Eagles’, according to the Catholic Action’s principles. As a mature man he became an example of apostle and thus a model for every priest or religious. Finally Merz was the “catholic man” par excellence, whose heart was beating together with the heart of the Church, that has no national or political frontiers; the Church that is the Mystical Body of Christ, gathered around the real Christ in Eucharist, represented by his vicar on earth, the Pope. The Church, the Eucharist and the Pope: three loves, or rather one only love, according to Merz, who was trying with all his might to instil it in the Croatian youth. He, a layman, was the promoter of the liturgical movement in Croatia and was also a pioneer of the Catholic Action according to Pius XI’s instructions, in order to put together an “elite” of apostles to work for the “renewal of everything in Christ”. For a little longer than five years he was working, fighting and suffering for the establishment and strengthening of the Kingdom of God in his country. With this purpose he became the moving spirit of the youth’s “Eagles” movement, to which, on his death-bed, he offered his own life. His wide culture, his experience of life and his deep catholic sense, make him a “European Saint’, close to the German, Latin an Slavic world. Although almost eighty years have passed since his death, his character has lost no actuality, or better, from a certain point of view, its actuality has increased, because in the meanwhile the world has secularised even more, and is even more in need of witnesses of the “supernatural”. As a layman consecrated to God, he devoted himself for six years to the apostolic work of bringing up Catholic youth in Croatia. He promoted the liturgical revival and the Catholic Action of the Pope Pius XI. Completely devoted to the Church and the Vicar of Christ in Rome, Ivan lived a holy life imbued with the worship of the Eucharist. Although he was a layman he is called “the pillar of the Church” in Croatia. In 1928, Merz passed away, leaving an example of how a man can live, fight and suffer for God’s cause. Merz tried hard to give his life the “full meaning”, heading for sanctity, and all his pedagogical task was devoted to the formation of apostles of sanctity. He died on May 10, 1928 with a reputation of a saint. His shrine is located in the Basilica of the Heart of Jesus in Zagreb, Croatia. The fame of sanctity soon surrounding him, pushed to the canonization cause, that was started in 1958. The Pope John Paul II. beatified him in his birthplace Banja Luka, Bosnia, on June 22, 2003, and put him as an example of Christian life especially to the young and lay believers. The Lord has granted numerous prayers and graces through the intercession of Blessed Ivan Merz. “You should know that the university life in Vienna , the war, my studies and Lourdes have persuaded me completely about the truth of the catholic religion. That is the reason all my life is turning around the Lord Jesus Christ. Why do I love the Catholic Church and the Pope? Because in the Church I can see a clear image of the beloved Saviour, the God-man, Jesus Christ, with all his perfections, and in the figure of the Pope I can see my God and my Lord. If I did not believe my existence would come to an end. The route of every apostolate is the fight against sin. Suffering is more useful to the Kingdom of Christ than a long work, erudite discussions or wonderful speeches and articles. Died in the peace of the catholic faith. My life was Christ and my death was my gain. I am expecting the Mercy of the Lord and undivided, complete, eternal possession of the Most Sacred Hearth of Jesus. Happy in joy and peace. My soul will reach the goal for which it was created. This text is today the epitaph on Ivan Merz’s grave in the Basilica of the Sacred Heart in Zagreb . God, our Father, Blessed Ivan, faithful to his baptismal call for sanctity, worked hard in the field of bringing up youth in the faith and in Christian life. Grant us the grace that we may, strengthened by his advocacy and inspired by his example, faithfully and bravely continue to announce the Gospel and be witnesses of it. With the help of Christ our Lord. Amen.